Now that I’m really diving into this challenge it was time to get serious about what would be needed to complete it. 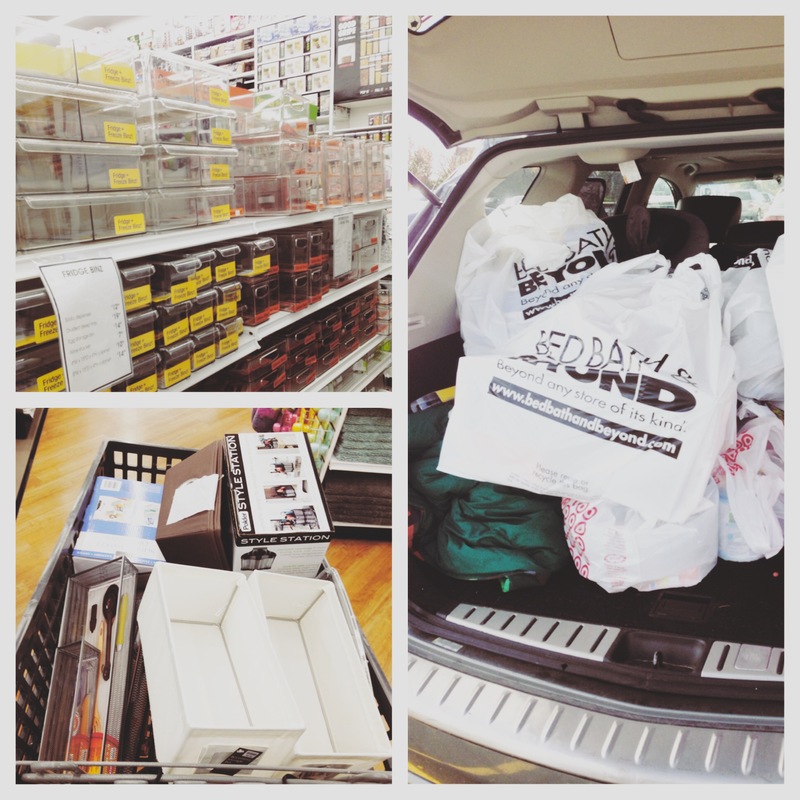 Took a fun trip to Bed Bath & Beyond on Sunday and picked up MOST of the store. As soon as I walked in, the bins were staring me right in the eye. It’s like they knew I was coming. Once I got home it was time to get down and dirty! 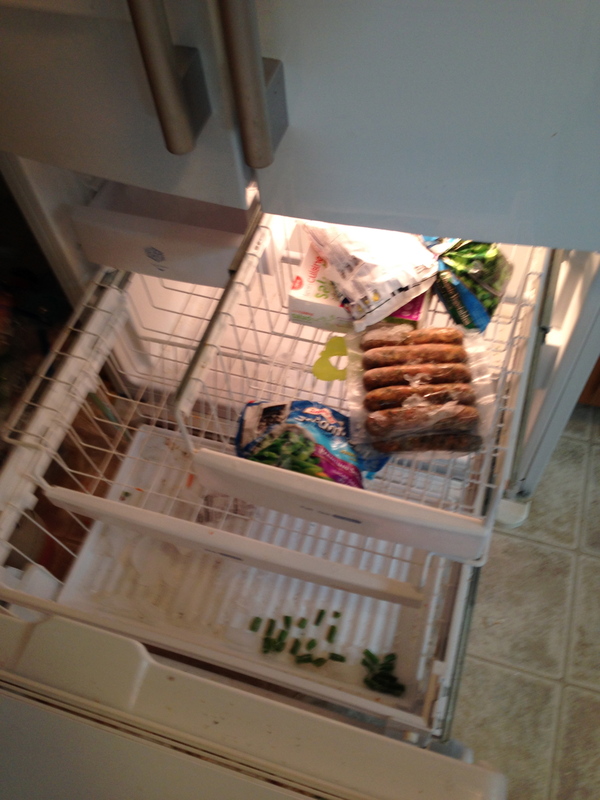 First task the freezer that recently decided to become extra frozen. It required help from the hubs because I hate when my hands get cold. I was told to wait until half time and I only had 14 mins. It was time to work fast…. Showing our cleanliness dirty laundry makes me so embarrassed. 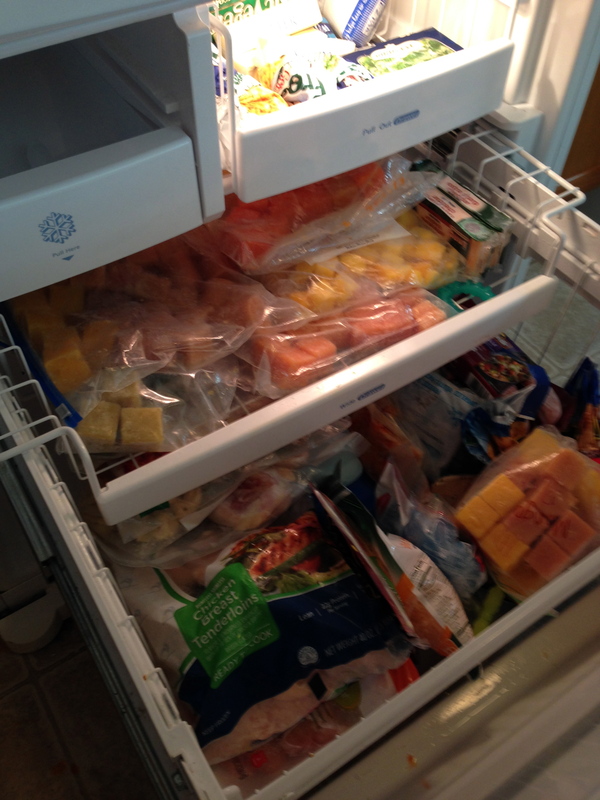 In the end, the freezer looks SO much better. We found that pound of bacon I bought weeks ago, along with some baby food we didn’t know was in there. Organizing is really starting to pay off. Next, it was on to the “everything” drawer. 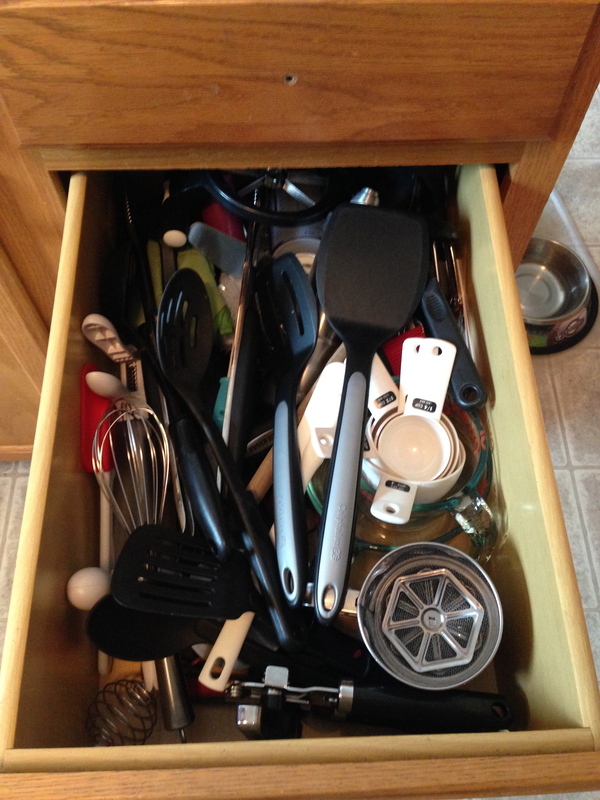 Back when I was pregnant and making space for the baby, I got this “genius” idea to throw all of our kitchen utensils in one drawer. Looking back, that was the worst idea EVER. 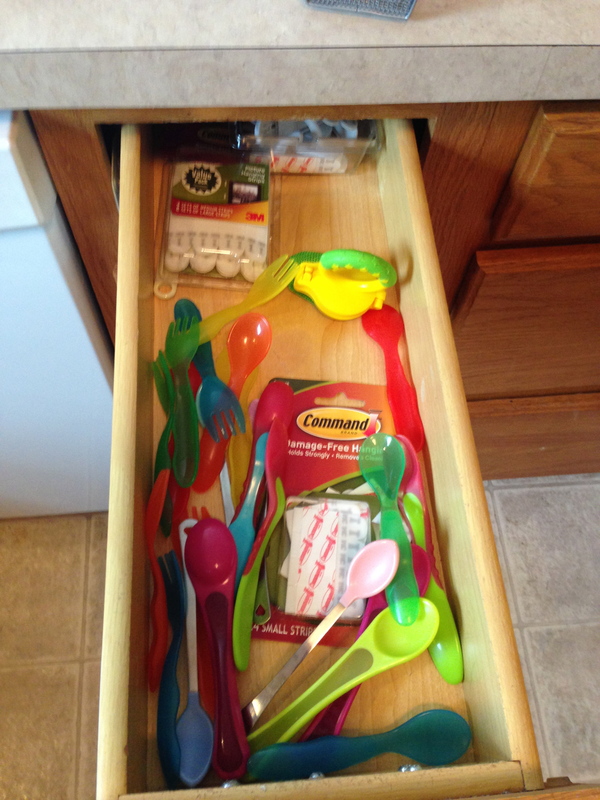 Each and every day, when I need a spoon or a spatula, I curse that drawer. 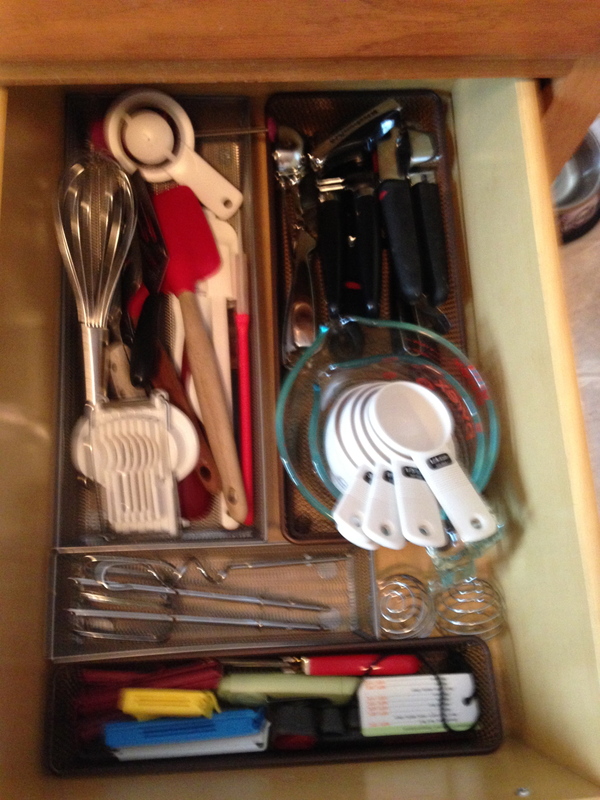 Thanks to some purging and a few new wire baskets, the “everything” drawer is perfect. 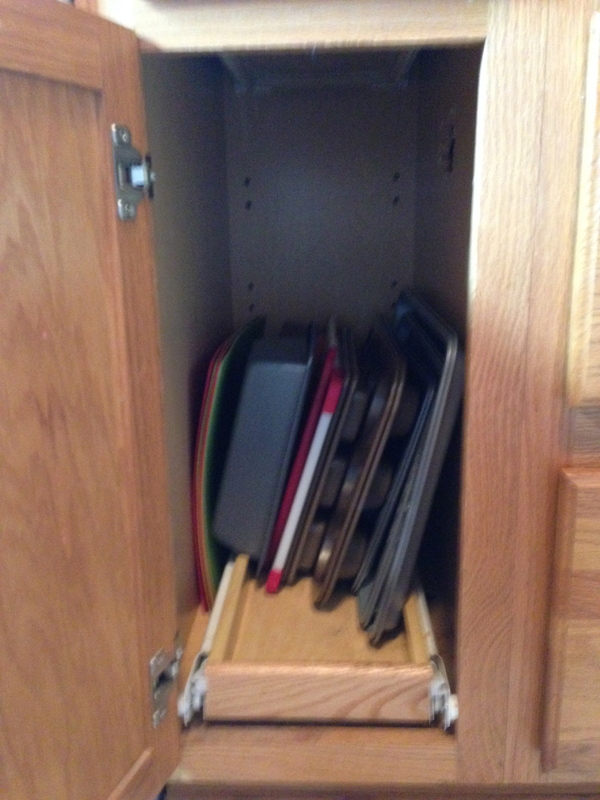 I did the same thing with HD’s spoon and fork drawer, along with our dreaded cookie sheet cupboard. 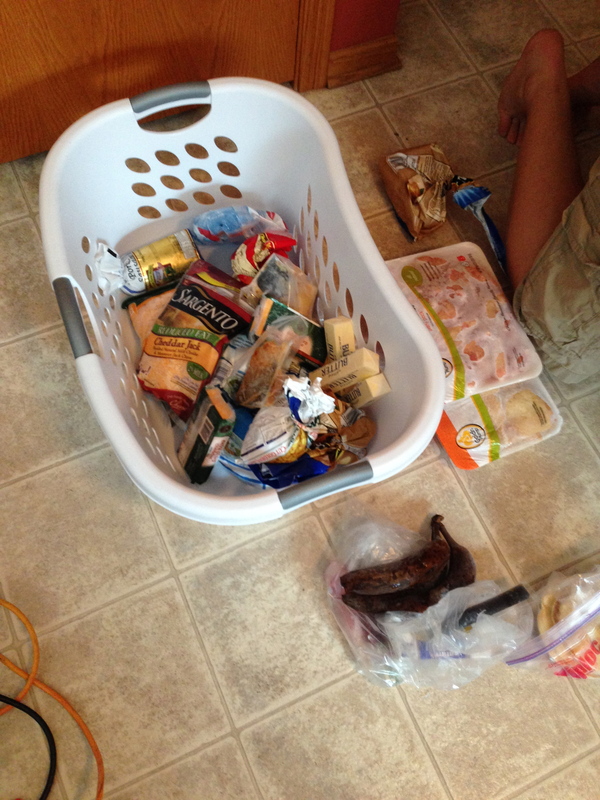 A few easy things that didn’t cost much, making a HUGE difference in our daily lives. There’s still more to tackle in the kitchen. Those bags had lots of goodies inside!! 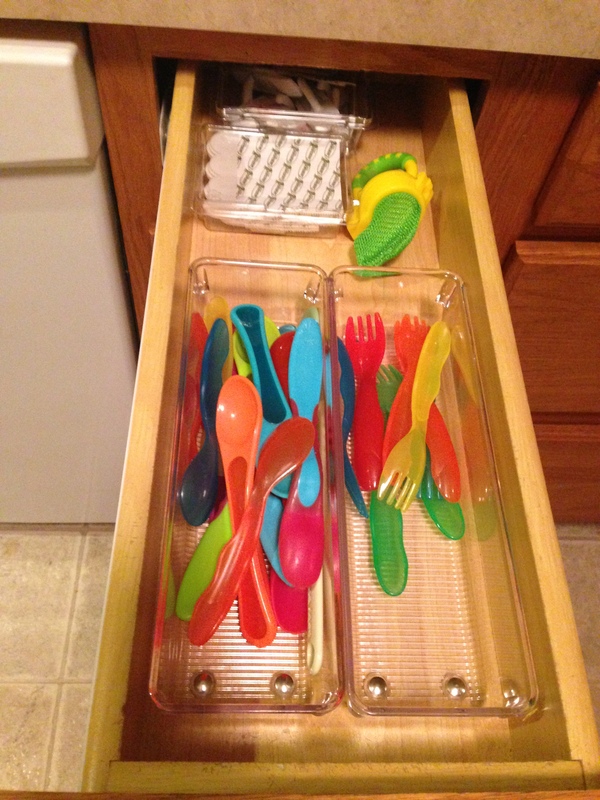 What a great way to organize your space!